Our elevated photography, or land-based aerial photography provides stunning, close-up images that are sure to solicit a second glance. 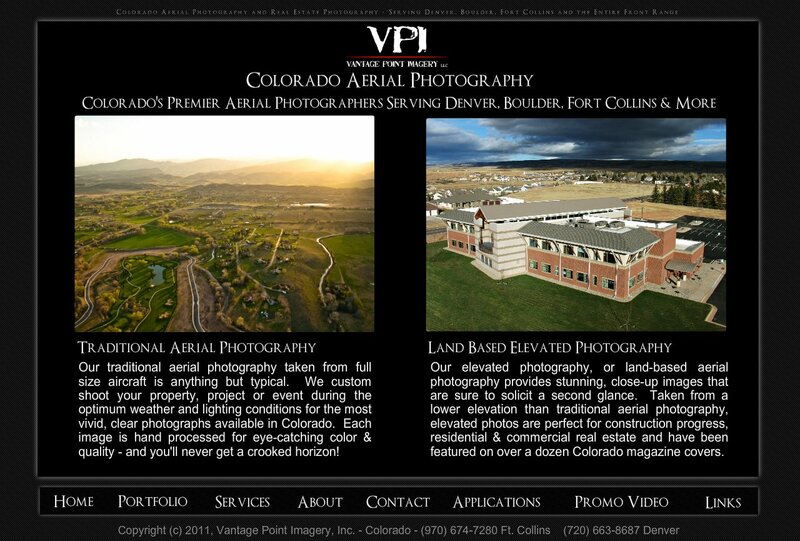 Taken from a lower elevation than traditional aerial photography, elevated photos are perfect for construction progress, residential & commercial real estate and have been featured on over a dozen Colorado magazine covers. Our traditional aerial photography taken from full size aircraft is anything but typical. We custom shoot your property, project or event during the optimum weather and lighting conditions for the most vivid, clear photographs available in Colorado. Each image is hand processed for eye-catching color & quality - and you'll never get a crooked horizon!